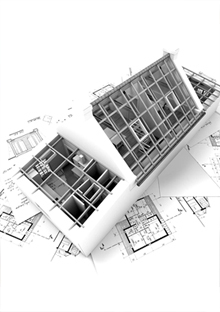 Energy-efficiency: Complying with the standard of building energy efficiency of 75% and above. Water-saving: Dry operation can save 90% of the water consumed in the traditional construction method. Material-saving: More than 90% materials can be recycled to eliminate a large number of construction waste generated when the building comes to the end of its service life. Land-saving: The carpet area is increased by 10% and more. Environmentally friendly materials: The house is built with 100% new materials and both its production and use can meet the requirements for environmental protection. 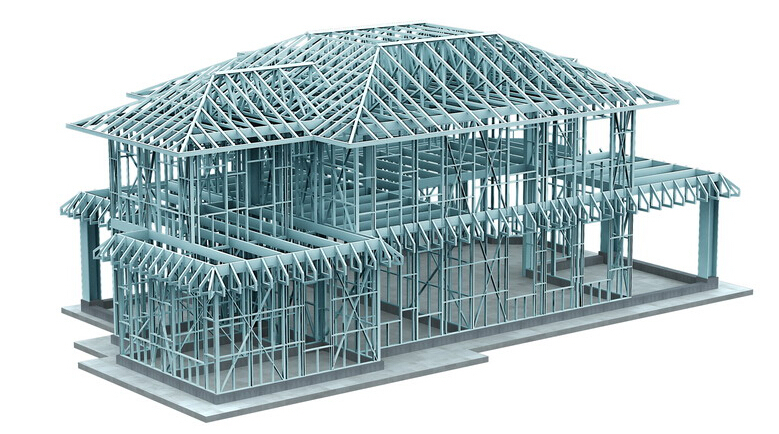 Factory prefabrication and on-site assembly greatly shortens construction period. Dry operation is adopted and can be done in the Northern Areas in winter. 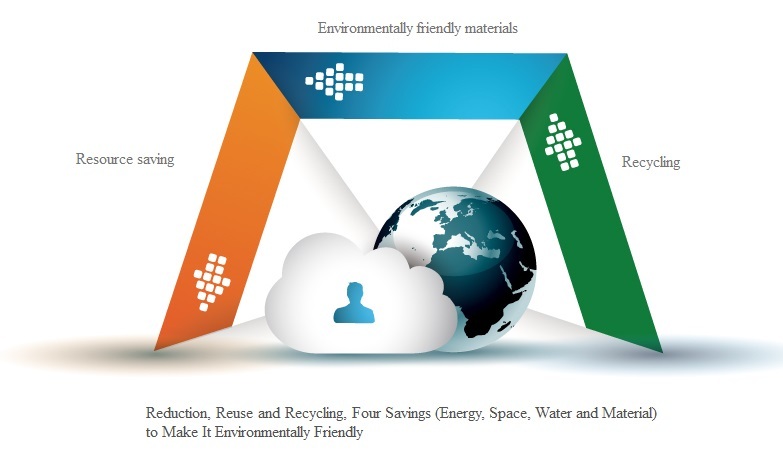 The installation site is environmentally friendly with no dust pollution or sewage pollution. 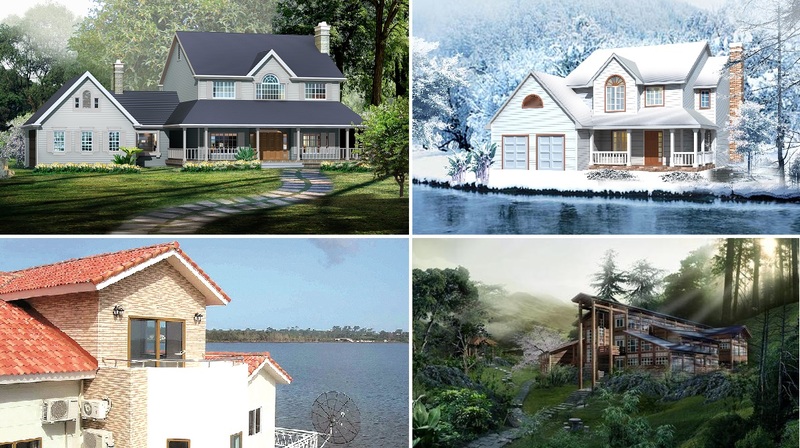 For example, it only takes 5 ~ 7 days to complete the main structure installation of a 200㎡detached house and two months to complete refined indoor and outdoor decoration. 95 years of structure safety design. The structural steel framework and bolts adopt high-performance anti-corrosion technology (galvanized, Aluzinc coating and magnesium-aluminum-zinc alloy plating) and the self-healing function of anti-corrosion coating can prevent the main structure from being corroded. The house meets 9 degree requirement for fortification against earthquake and can resist against 12 degree typhoon. The entire house adopts flexible structure of a light weight (about 1/6-1/4 of the traditional brick structure) and has all its joints reliably fixed with special fittings so as to greatly improve its earthquake and wind resistance performance. The composite enclosure wall which comprehensively adopts Class A non-combustible type fireproof materials is used to fully meet the fire protection design standard of buildings. BNBM House adopts “Double Thermal Preservation + Double Compartments” thermal insulation and energy efficiency technology. 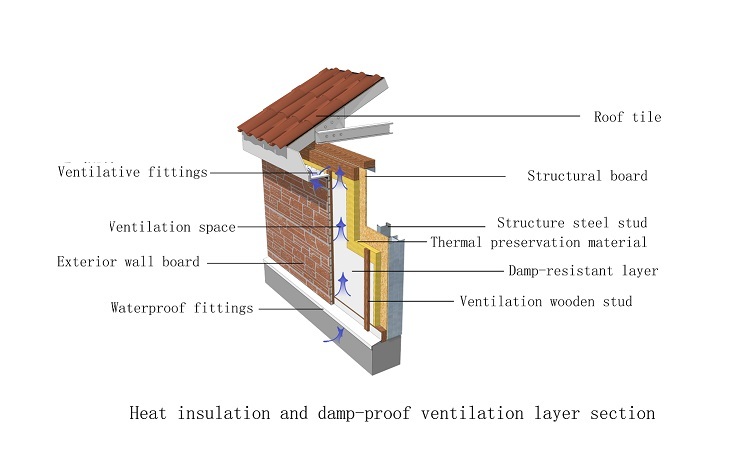 The unique design of heat reflection and ventilation interlayer further improves the building envelope insulation effect and avoids the phenomenon of thermal bridge. 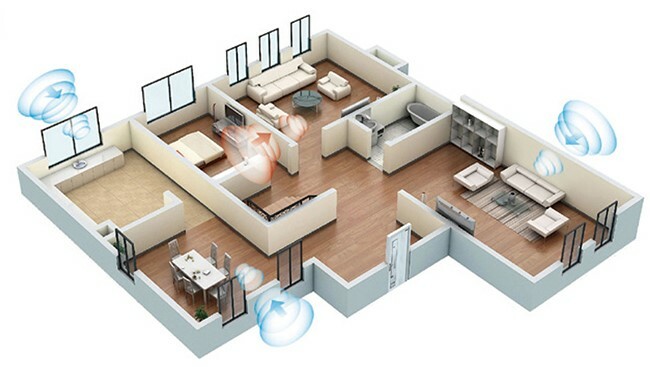 BNBM House meets the building requirements of energy efficiency more than 75% and ensures the indoor environment being warm in winter and cool in summer. 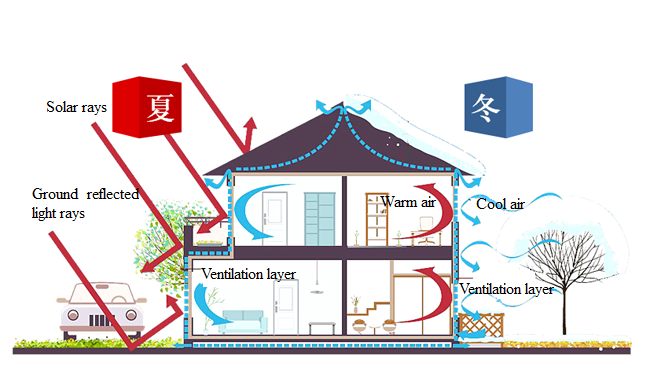 Unique design of open ventilation layer realizes external wall ventilation and damp proofing in the hot air convection principle; “One-way breathing paper” is set between the main structure and the external wall decoration layer so as to effectively prevent dampness or other corrosive gases from entering the main structure. The wall will not have dew formed in northern areas in winter. 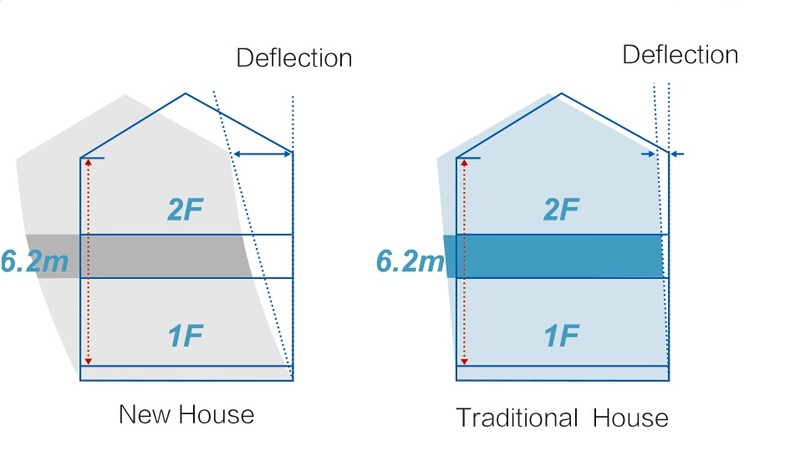 The thickness of wall is only 1/2 of the traditional structure and the carpet area increases by more than 10% compared with the traditional one. The weight is mainly borne by the external walls and flexible layout can be achieved in the indoor space. 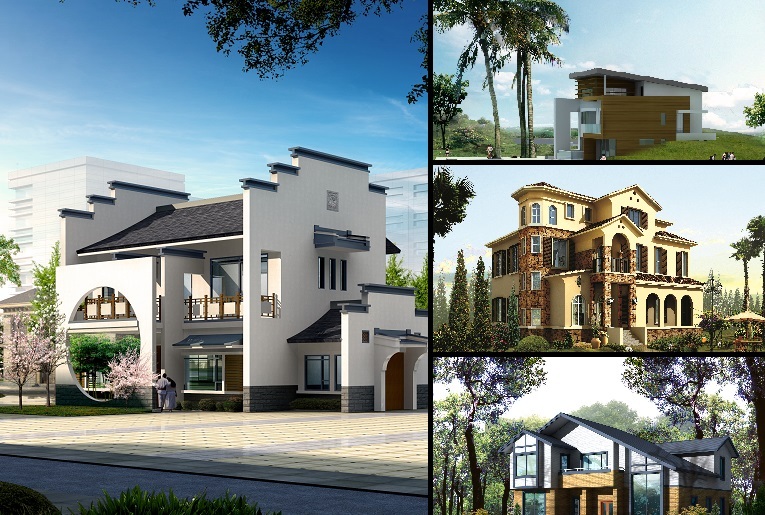 From the traditional Chinese residential houses (such as Eastern Sichuan style, Huizhou style and Uygur style) to modern Occidental houses, BNBM House has created a variety of architectural styles.